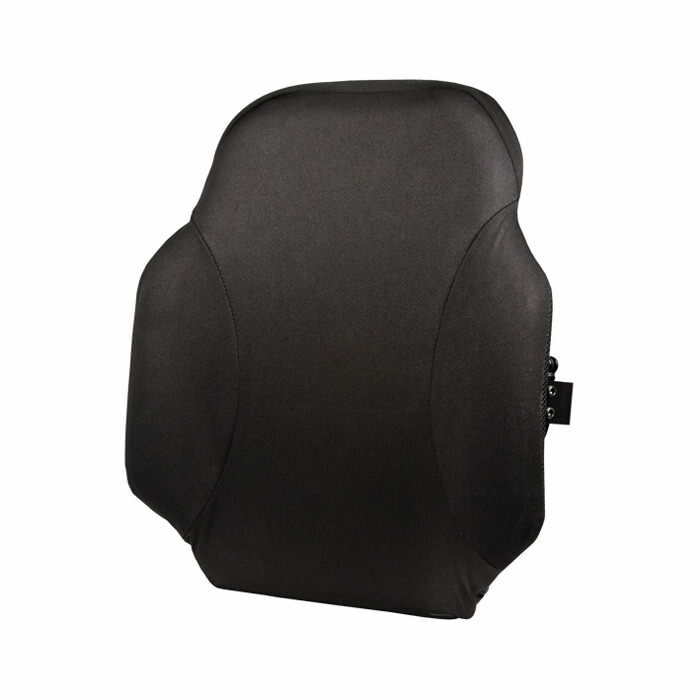 Comfort company acta-back features three layer foam construction, including visco surface layer. 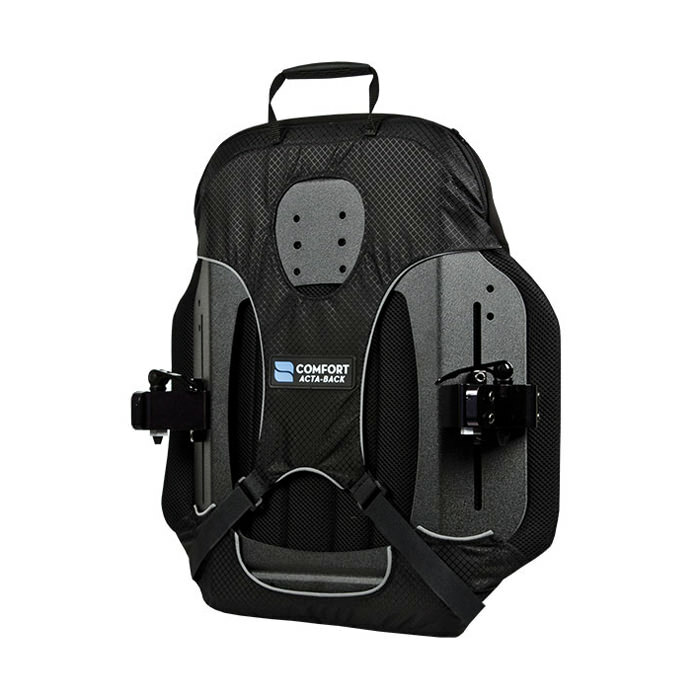 The lightweight durable aluminum shell comes with head support holes and lateral hardware slots. Comfort company back has patented compass hardware that quickly installs to wheelchair and adjusts for depth, height, and angle while the user remains seated. Acta-back patented moldable aluminum stays conform, support back and provides with pelvic and scapular relief. Comfort company acta-back is available in 12" - 22" heights and 12" - 24" widths with two fabric options: Comfort-Tek and Stretch-Air. A moldable center section allows precise contours for any spinal curvature. 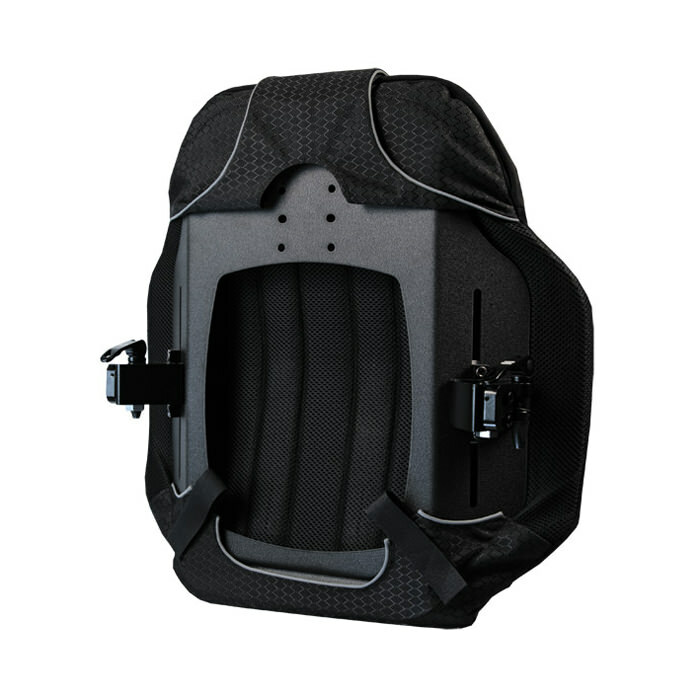 This offers increased support and comfort to accommodate lumbar, scoliosis, and kyphosis needs. NEW: inner top zipper allows moldable stays to be removed - molded - replaced without having to remove the foam & cover from the backrest. All done while the user is seated. Moldable aluminum stays are offset from the center, removing pressure points from the spine and allowing for more aggressive molding to either side to support a rotated back. Back height 12" - 22"
Back width 12" - 24"